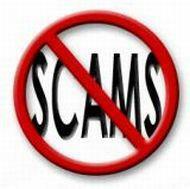 Take care of +447..... numbers | NoScams Scam Advisor! A few days ago I was asked about a cheap iPhone seller in the UK. Or that appeared to be UK based. Obviously +44 is the UK country code. But +447… are international forwarding numbers. That means this person/phone can be anywhere in the world. In the past they where mainly in Nigeria. But now seems like scammer all over the world like those phone numbers. Same is happened with me.. A man talked to me.. And send me a parcel and next day a woman wants me to deposit thirty five thousand to release that parcel from costume.. Its a total fraud. Just ignore. Nothing really they can do. +447 numbers are UK forward numbers. The actual user can be anywhere in the world. Most likely not in the UK.